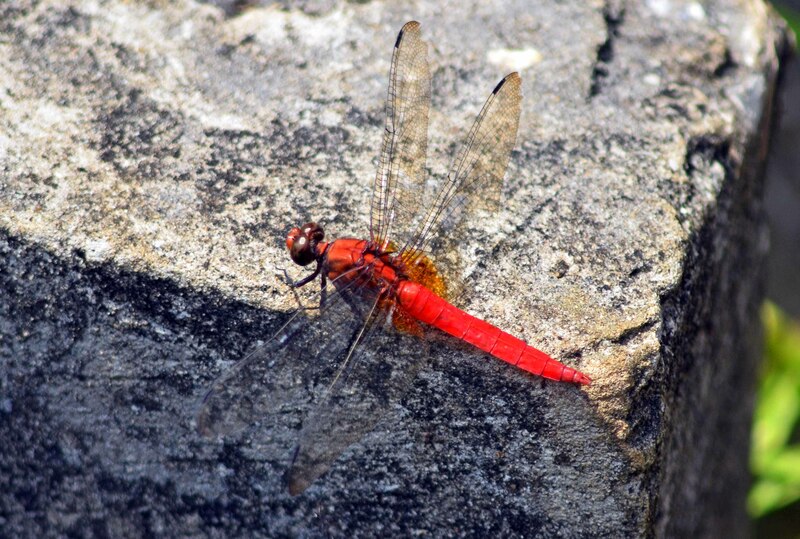 During a recent trip to Sarawak, I took a few photographs of dragonflies and damselflies. How to identify them? We live in a world where simply entering a species or genus name into a search engine (usually Google in my case) delivers a bewildering array of images, some correct, some clearly incorrect. Entering terms like ‘big red dragonfly Sarawak’ is surprisingly effective! Well at least for common species such as this Red Grasshawk Dragonfly male (Neurothemis fluctuans) seen in Bako National Park, Sarawak. There are books of course, but these have to be ordered. In the meantime one discovers blogs by other enthusiasts, and then some really good websites by people who are clearly experts in their chosen field (1). There are academic papers, but these are often difficult to access and are usually too detailed for a straightforward identification. But bit by bit, with perseverance one can usually identify most (but not all; see below!) things one has photographed, I find. Like this Orange Skimmer Dragonfly (Orthetrum testaceum), also seen at Bako NP. 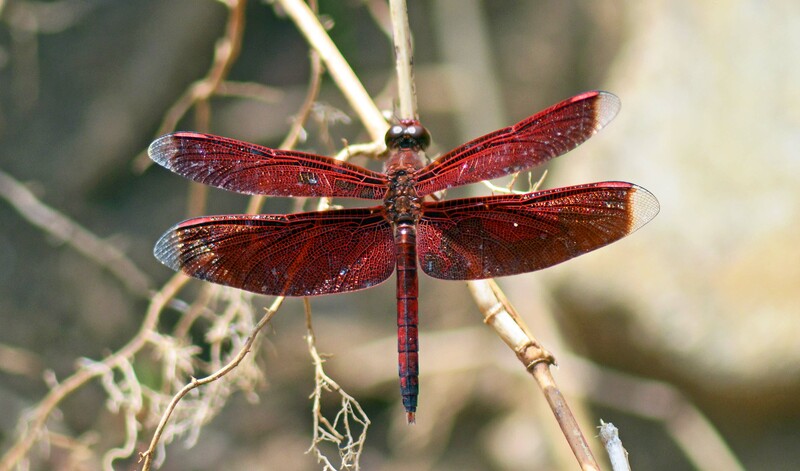 Dragonflies (and damselflies) are good indicators of the health of a tropical forest; any degradation of the forest results in a decrease in their biodiversity (2). However some species like the Orange Skimmer actually seem to benefit from forest loss (3). Winners and losers in our changing world. But there are some species which prove quite difficult, read impossible, to identify! 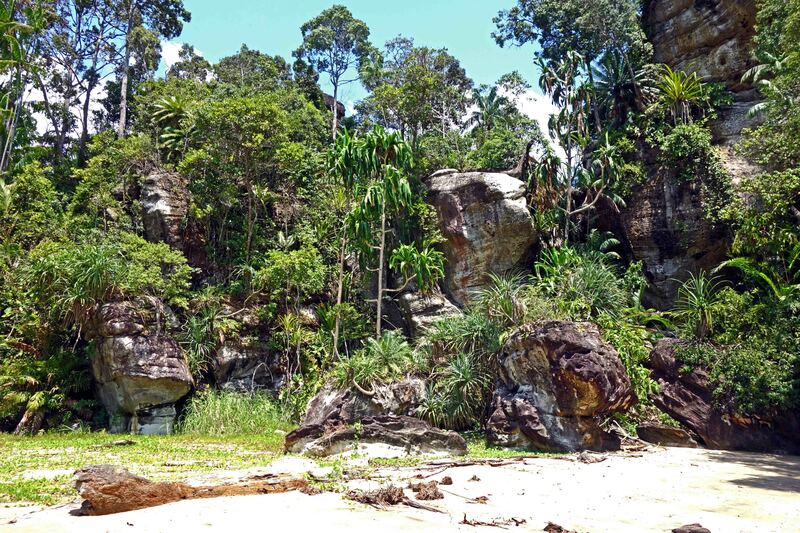 New species – particularly of the smaller damselflies – are being discovered all the time in Borneo (4), and others are still patiently waiting to receive their official scientific name! Now doubt many others still lurk unseen in the forests. At least I hope so! So some things might be new or rare? I managed to get a fairly average shot of this small beautiful damselfly in Gunung Gading National Park, Sarawak. But not easy to identify – maybe its not a good enough image? Could it be a species in the Libellago genus? 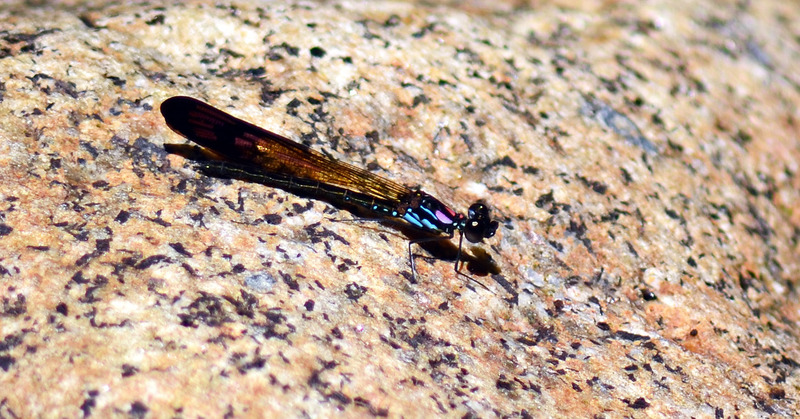 I don’t know, but trying to find out has wetted my appetite to find out more about these colourful little damsels! 4) RORY A. DOW & ROBIN W. J. NGIAM (2013). Prodasineura yulan (Odonata: Zygoptera: Platycnemididae), a new species from Sarawak. Previous Previous post: Fancy meeting you here!